OnePlus officially confirmed that the 6T will have an in-display fingerprint reader and even shared a screenshot of the lockscreen. That was yesterday. 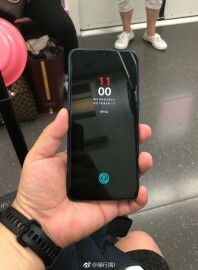 Today there was some excitement on Weibo as photos phones claiming to be the OnePlus 6T started showing up. 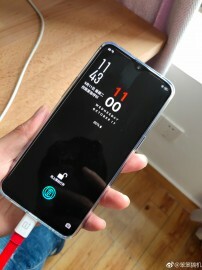 And OnePlus they are not – you can see that the “lockscreen” is just the official image shared by the company (the time, date and battery charge are identical in all photos). Still, we don’t believe this is a Photoshop job either. 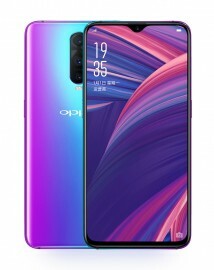 Our best guess is that it’s the Oppo R17 Pro with the OnePlus image used as a wallpaper. You can even see the Oppo-style clock in the top left of the screen in the second shot (which has a OnePlus cable to complete the illusion). We have to say that while these aren’t photos of the OnePlus 6T, they are likely very, very close to the real deal. After all, the hardware will be very similar to the R17 Pro (like the OnePlus 6 was similar to the R15 Pro, save for the camera placement). The software will be different, though.